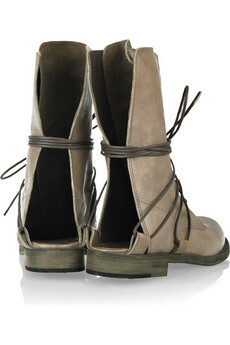 Today's So Shoe Me is The Grip by LD Tuttle, $550 $176, available at Net-a-Porter. Tuttle Power! 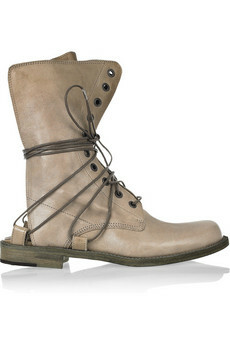 These utilitarian inspired combat boots are perfect for summer in a dusty taupe shade and statement making open back. This just might be the best boot for music fests this summer since it has a classic combat shape with signature details that make it a one-of-a-kind statement. Sure to strike up envy from passerbys and finish off any outfit with a fresh casual vibe The Grip is a versatile shoe that will make a great transitional piece with tights and heavy socks come fall. The Grip also brings a relaxed style with vintage looking materials and a no-fuss wrap-a-round tie front. Perfect for running around, getting dirty and living life. 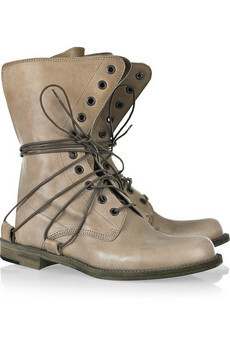 Style this boot with vintage lace shorts in a luxe cream and a distressed band tee for perfect festival style. So Shoe Me a pair of summer ready combat boots that have classic details and a fresh open back for a signature detail that's sure to make a statement.